Announced last year, the Google Home and Google Wi-Fi were two of the company’s non-Android-running devices that eventually took center stage and intended to simplify your home’s virtual assistant and home networking, respectively. Well, it is noteworthy to hear that both of these devices are being offered in a bundle for a decent amount of savings so if you have the requirement in your households for these two, you’d better make your purchase right away. If you’re looking for an attractive deal, then Best Buy always has something special up its sleeve with a bundled deal. 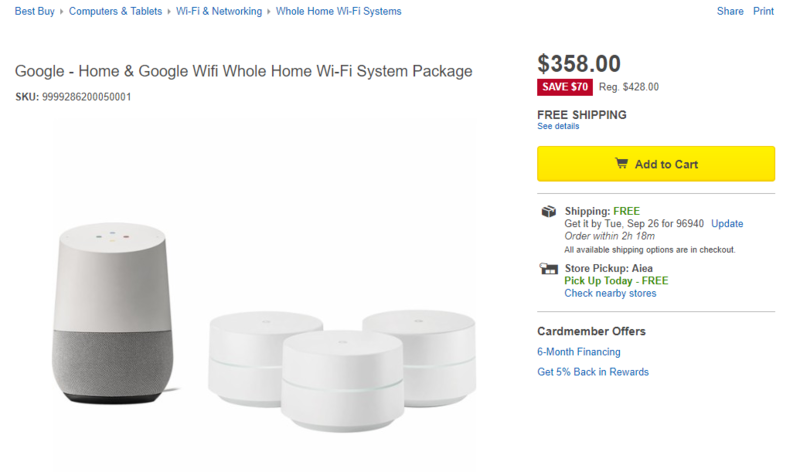 This would have originally set you back by $428, but with the $70 savings, you can own both the Google Home and Google Wi-Fi set for a total of $358. 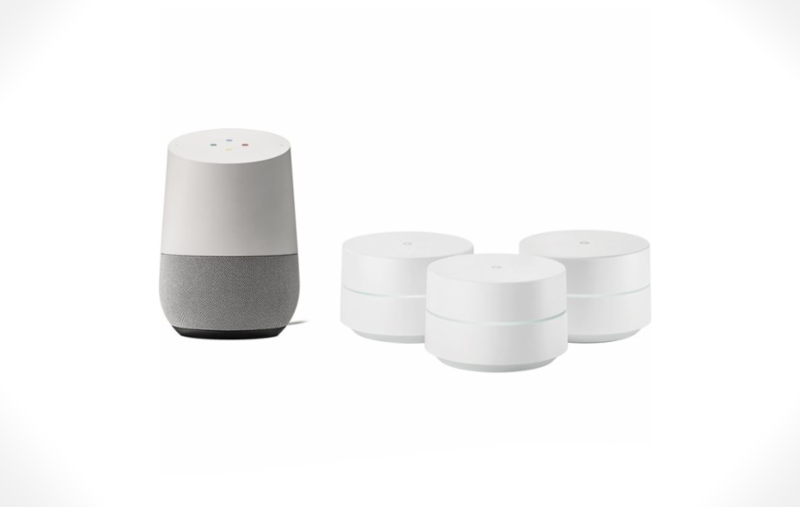 You need to be reminded that with this purchase, the Google Wi-Fi router will be provided in a total of three units instead of one so that you are able to maximum home network coverage without resulting in any portion of the home becoming a dead zone. With the amount of data Google collects from millions of users engaged in the company’s wide-range of services, it is able to make the Google Home platform better by taking your preferences and preferred choices and updating it continuously. The only problem that the Google Home cannot do right now is not being able to do reminders. On the plus side, however, it is able to make calls, connect over Bluetooth, and lets you in on early releases through its preview program. While Amazon’s Alexa has a ton of integration options at hand by syncing with compatible appliances, Google Home is not far off. If you just want to purchase a standalone Google Wi-Fi set, the source link of the bundle and routers have been given below.